Trust Mimi G to keep you on trend this season. 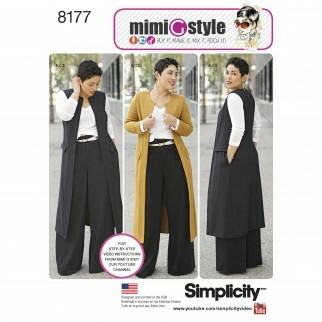 Pattern features a duster length coat or vest, long or short sleeve knit top and wide leg Trouser with cuff and high waistband. 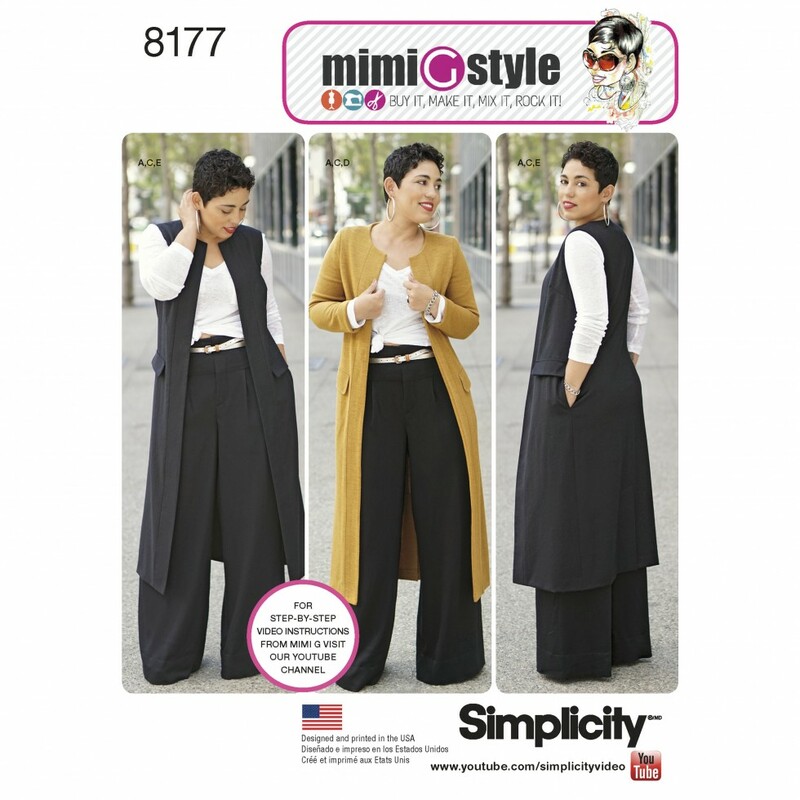 Mimi G Style for Simplicity. Link to video.